A good movie directs what you see. A great movie affects how you feel. 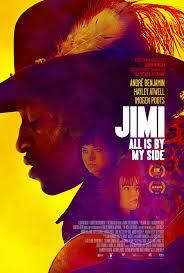 I had the privilege of attending the advance screening of Jimi: All Is By My Side, starring Outkast’s André Benjamin aka André 3000. 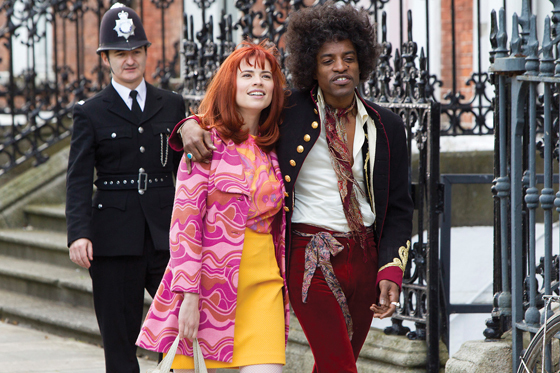 This revealing biopic, from Academy Award-winning writer and director John Ridley (12 Years A Slave), covers the pivotal years of 1966 – 1967, right before Hendrix played the Monterey Pop Festival. In the film, we follow Hendrix’s career from playing as a backup guitarist in New York, to being discovered and making his mark on the London music scene. The film also reveals the man behind the musical genius, providing a glimpse of his life including the complex relationships with the women who were very instrumental in his career. Set in the heart of the 1960’s, the film is fully dressed for that era. Everything from authentic 60’s fashion, popular music of that time, and even the set design made me feel like I had stepped back in time. 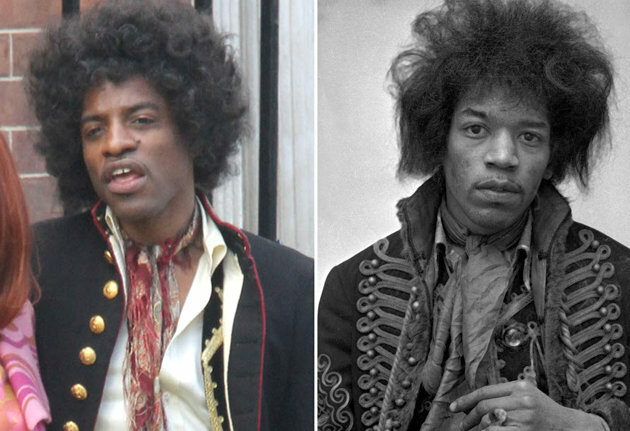 I really enjoyed watching André’s transformation into Hendrix on screen. 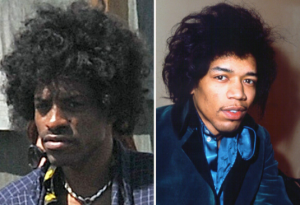 I have watched footage of Hendrix in past interviews and performances, and André fully enveloped Jimmy Hendrix adopting his mannerisms, dialect and even his style of guitar playing. He drew me in as if I was watching Hendrix for 2 hours. The film opens Friday, September 26, 2014 in limited theaters. Make sure you get out opening weekend to support this great independent film. In “All Is By My Side,” there’s rock music. Then there’s Jimi Hendrix. “All Is By My Side” captures the energy, the charisma, the mind-boggling talent of a legend whose musical influence still resonates around the world today. Based on actual interviews and archival materials, “All Is By My Side” brings authenticity and poignantly reveals a Jimi Hendrix behind the legend. At its heart a love story, “All Is By My Side” is about a man growing up, falling in love and becoming Jimi. 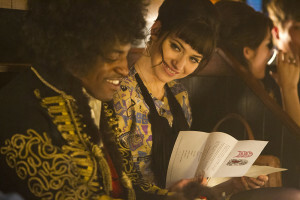 Cast: André Benjamin (Jimi Hendrix), Hayley Atwell (Kathy Etchingham), Imogen Poots (Linda Keith), Ruth Negga (Ida) and Adrian Lester (Michael X). This entry was posted in Movies and tagged André 3000, André 3000 as Jimi Hendrix, André 3000 of Outkast, André Benjamin, André Benjamin as Jimi Hendrix, Atlanta Blogger, Hendrix, Jimi, Jimi Hendrix, Jimi: All Is By My Side, Outkast, Tish Around Town, Tish at the movies.